ASHBURN, Va. — Coming back from an overnight stay in Leesburg after a wedding in Bluemont last month, I decided to see if the Partlow Bros. General Store in Ashburn was still in operation. I had a soft spot for it since the first time I bicycled or hiked past it on the W&OD Trail. It was a throwback to a simpler time and as the development overtook that part of Loudon County, I was happy to see it continue. However, the general store has been replaced by Carolina Brothers Barbecue. 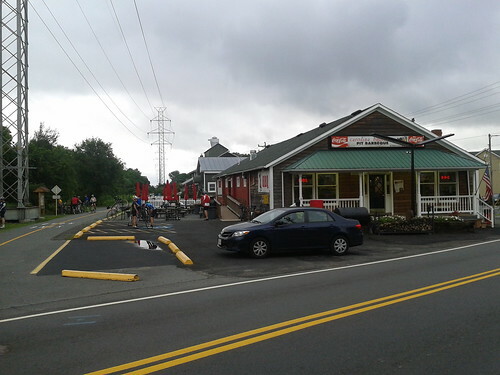 The building is still the same and it is certainly still an excellent stop for W&OD cyclists, runners, hikers, etc. It seems like a logical evolution for the spot given. I noticed inside that a refrigerator had a nice tall glass bottle of Pepsi. I picked it up and read the label and saw that it had sugar, not corn syrup in it — just like Pepsi Throwback. I picked up several bottles. I also noticed they had Cheerwine in old-style glass bottles which pleased my wife. She had developed a taste for it during our trip to South Carolina in the spring. We also got a few bottles of it for my sister-in-law who is from Texas. 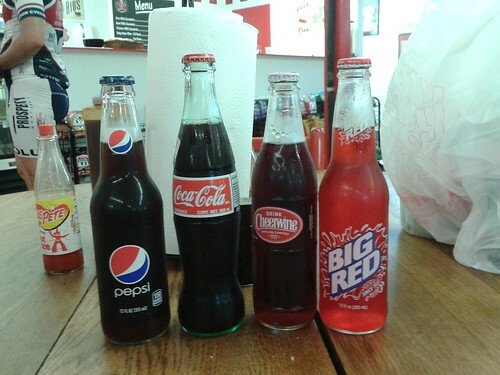 Then, my wife spotted an ever rarer soda — Big Red. My sister-in-law loves Big Red, so we were really pleased to give her some. We also picked up some Mexi-Cokes since other family members prefer the real sugar version of Coca-Cola. Sometime later in the summer or fall, we’ll go out there and try the barbecue. We have bough a couple of sauces for ourselves which we will try on our crock pot pork shoulder but we want the real thing too. They also sold apple butter which is delicious.